Featuring a garden, private pool and pool views, Punta Cana - Villa Patrick is located in Punta Cana. This villa is a few steps from freshwater lagoons and 4.2 miles from Playa Juanillo. The villa comes with 5 bedrooms and a fully equipped kitchen with an oven. The bathroom features a bath and a hair dryer. The villa has an outdoor pool. A grill can be found at Punta Cana - Villa Patrick, along with a shared lounge. Cap Cana Marina is 4.4 miles from the accommodation. When would you like to stay at Punta Cana - Villa Patrick? This villa has a kitchen, private pool and tumble dryer. Amazing villa in the secure resort of Punta Cana, perfectly located to enjoy the golf course and located two minutes from heavenly beach accessible by golf car available on site. Decorated with taste in a pure colonial style, everything has been thought for a comfort and a quality of life perfect with a very vast living room to live, 5 bedrooms with privative bathrooms, nice swimming pool, internet wifi, television, staff of house at disposal, air conditioning, bbq. 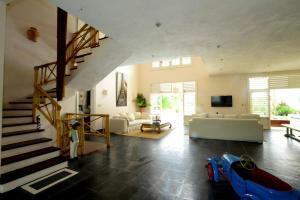 Amazing villa in the safety resort of Punta Cana, facing one of the most beautiful golf course of the world "La Cana". 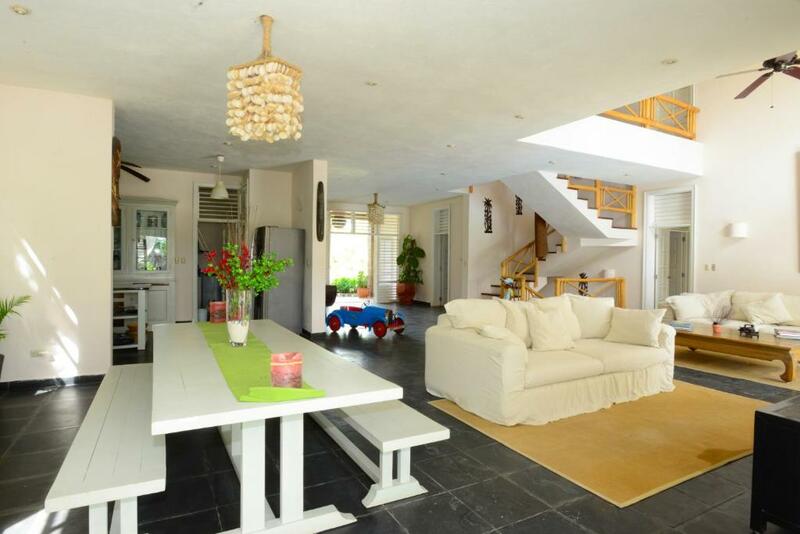 Large living-room space open on the swimming-pool, an outdoor living and a outside dining-table close to the pool. Internet Wifi and Cable TV in the living. Fitted-kitchen with washing machine, micro-wave, coffee machine, toaster, etc... 5 nices bedrooms with its own bathrooms. 5 minutes away from the international airport, really easy access. Calm and sunny. All is available at the Villa : swimming-pool, living, kitchen, Internet Wifi, cable TV, beach towels, bath towels, bed linen. You will have a personal welcome by our property manager and we remain available in case of any questions. Facing "La Cana"golf course, surrounded by others beautiful villas and golf cars, amazing beaches 2 minutes away, it is the perfect villa to spend the perfect holiday in Dominican Republic. House Rules Punta Cana - Villa Patrick takes special requests – add in the next step! Punta Cana - Villa Patrick accepts these cards and reserves the right to temporarily hold an amount prior to arrival. Please inform Punta Cana - Villa Patrick of your expected arrival time in advance. You can use the Special Requests box when booking, or contact the property directly using the contact details in your confirmation. We need at least 5 reviews before we can calculate a review score. If you book and review your stay, you can help Punta Cana - Villa Patrick meet this goal.